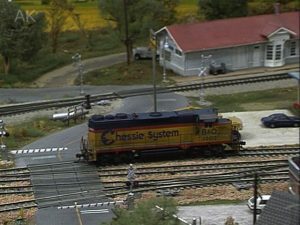 Gary Hoover’s Missouri, Kansas & Quincy is a modern HO railroad that covers half a continent from Chicago to California. Challenging scenery and photography are two topics that motivate Gary to keep improving. 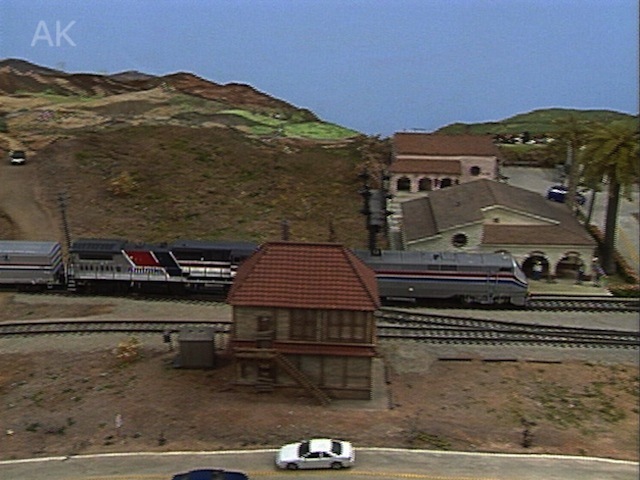 The layout has prairies, deserts, mountains and a seashore. Gary has published many articles and spectacular photos using the layout as a prop. 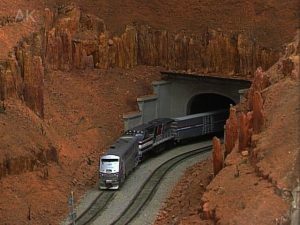 He even likes to backdate the railroad for special photo articles. You’ll see heavy intermodal traffic with modern power from the Burlington Northern Santa Fe, Denver & Rio Grande Western and even the Southern Pacific. 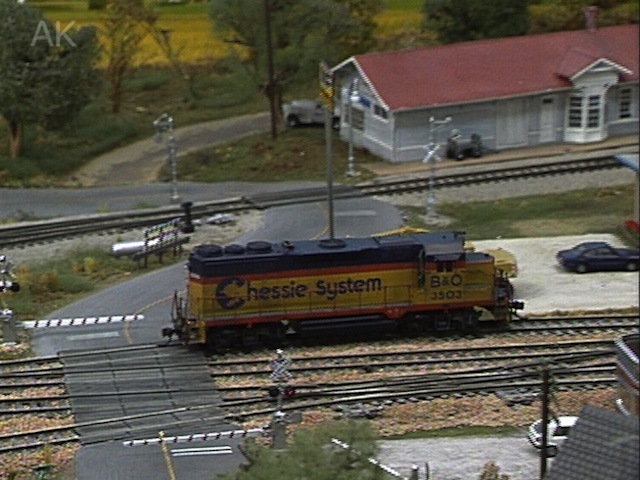 This layout was designed to provide operators and viewers with an exciting railroad journey through a variety of scenery. You will learn about making fields and stucco walls from drywall compound, operating slow motion semaphores, moving tunnel curtains, and taking layout photographs. 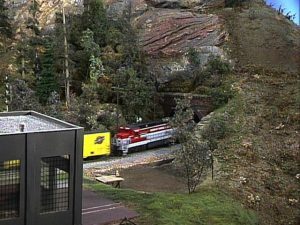 The Missouri, Kansas & Quincy is a great Model Railroad because Gary has created a marvelous railfan experience with his artistic ability to capture the essence of a model scene. 58 minutes.